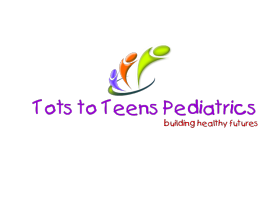 Thank you for choosing Tots to Teens Pediatrics as your child's medical home, where we always provide a comfortable, caring environment so our patients and their families can feel at ease. We've included helpful items on this page to ensure you and your child's first trip to our office is productive, stress-free and enjoyable. We are located on West FM 544 between Heritage Parkway and Dublin Road in Murphy, TX close to the Pecan Hollow Golf Course. We take pride in answering your calls in a timely and courteous manner. If a situation occurs after office hours that needs immediate attention, you can reach the doctor by calling the office. We do request that you call 911 in case of a life threatening emergency. Please call the office with any issues related to illness. The email address is provided as a convenience tool to communicate general matters, and should not be used to seek medical advice regarding an illness that may need to be treated immediately. NOTE: Google maps do not appear to show the correct location of our very new address. Bing maps does reflect our location accurately. Also if your GPS device does not recognize our address since it is new, you could try entering 615 West FM 544, Murphy, TX 75094.